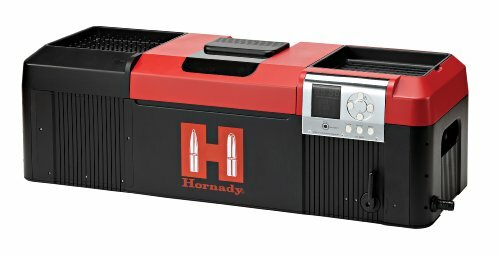 Hornady was founded back in 1949. And, since then, they have become a world-leading manufacturer of innovative new ammunition, reloading tools, and accessory design. 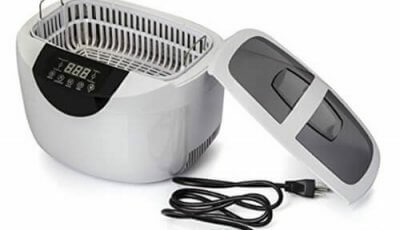 Read more other ultrasonic gun cleaners here. 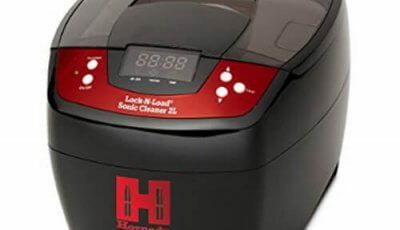 This sonic cleaner, by Hornady, was designed to take ultrasonic cleaning into a whole new dimension. Its Hot Tub features a 9-liter capacity and is long enough a accommodate an AR-15 and get it cleaner than ever. 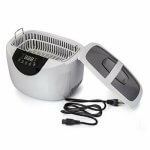 In addition to its impressive size, it has 4 separate transducers and a heating element, which significantly improves its ability to clean. 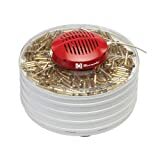 This is especially important for when you need to clean smaller gun parts. 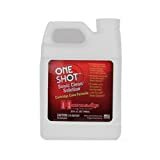 When used in conjunction with a quality cleaning solution, the cleaner’s microjet action helps break down and remove carbon residue and other debris from cartridge cases, gun parts and other smaller metal equipment. 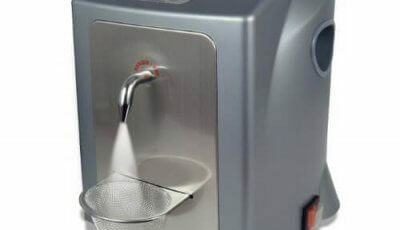 Unlike traditional tumbler style cleaners, sonic cleans are able to break down and clean dirt from internal and external surfaces on cartridge cases or primer pockets. The cleaner has a smaller inner tank for cleaning more than one small batch of parts. Or, for using two different cleaning solutions at the same time. 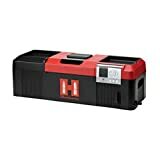 Hornady’s sonic cleaner is even big enough to fit additional inner tanks that can be purchased separately. The engineers who designed the cleaner even integrated hanger cords into the cleaner. These allow you to suspend objects and parts in the tank. 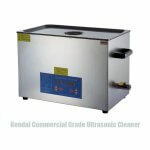 That way, you will fully benefit from the ultrasonic cleaning energy. 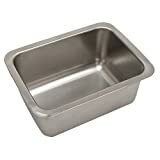 Additionally, the Hot Tub has drain pans built into the lids. 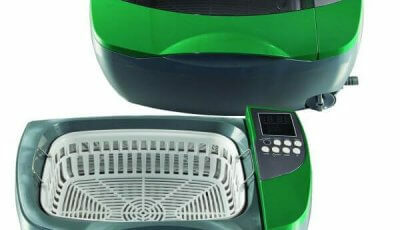 Ultrasonic cleaners work by producing high-frequency sound waves that agitate the molecules in a cleaning solution. This creates tiny bubbles that will adhere to dirt and other contaminants on the surface of metals, plastics, glasses, rubbers and other materials. 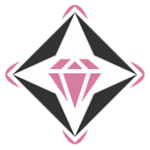 These cleaners can be used with water, however, they tend to work better when cleaning solvent is used. 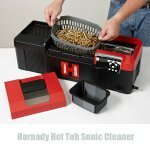 Sonic cleaners are often used to clean small parts but can be used to clean almost anything. 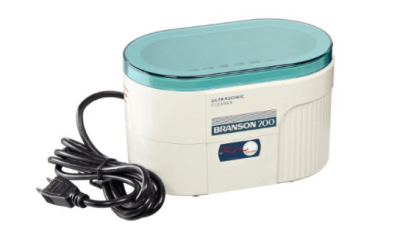 A sonic cleaner will easily clean jewelry, lenses, gun parts, watches, dental and surgical instruments, tools, coins, golf clubs and/or fishing reels. 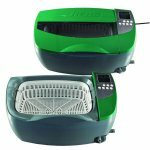 The advantage of this type of sonic cleaner is that it can clean small areas that a traditional cleaner would not be able to. The microscopic bubbles created in the tank penetrate even the smallest nooks and crannies. 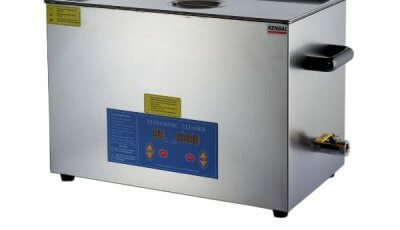 Cleaner features two separate tanks for cleaning several small batches of small parts. Or, it can be used for two different cleaning solutions at the same time. Features hangers to keep objects suspended in the tank. Comes with a small parts basket. Has 5 different temperature settings that can be adjusted between 100 and 140°F. The entire hot tub cleaner is rather large. It is about 25.5″ by 7.0″ by 4″ and has a 9 Liter or 2.3 Gallon capacity. The inner tanks, which can be purchased separately, are 6.7″ x 4.7″ x 3.2″ and have a 1.6 Liter or 1.7 Quarts internal capacity. 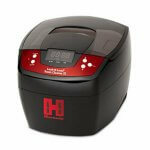 You might be interested in other Hornady ultrasonic cleaner review: Hornady Lock N Load Sonic Cleaner.